Gmail has been making several changes lately. While we might still be lapping up the unsend email function, the guys from the Google team aren’t stopping there though. 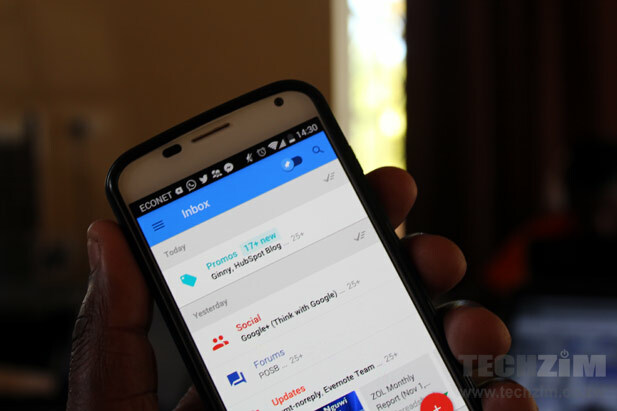 According to the official Gmail blog, the e-mail service is getting a slight make over. The number of Gmail themes has been increased. Hundreds of high resolution photos are now available. 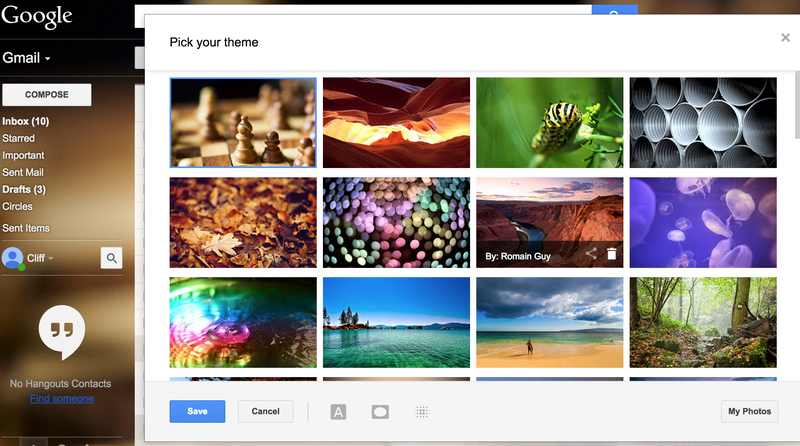 If you decide to use your own photo, you will now have the option to edit the photos on Gmail. You can use tools to blur, vignette and text background to make your Gmail platform look great. 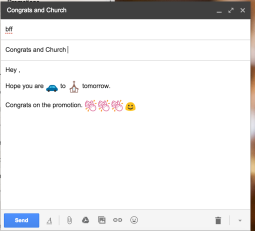 Gmail has also added tons of emojis. You can now communicate with friends the same way you do on WhatsApp. No more unnecessary words that can be expressed by simple emoji. The emojis can be used in both Chat and e-mail.The new features will be available world wide over the next couple of days. All these changes reflect two main things really, the accommodation of imaging in all aspects of the internet and how social-media-like interaction is creeping into how we chat, even via email. It’s as if Google, through Gmail, wants to take a bigger bite onto all things mobile. Images are part of the smartphone experience so making them part of the Gmail story makes some sense. It’s also safe to assume that Google is really keen on images, if that offer on unlimited Google Photos storage is anything to go by. 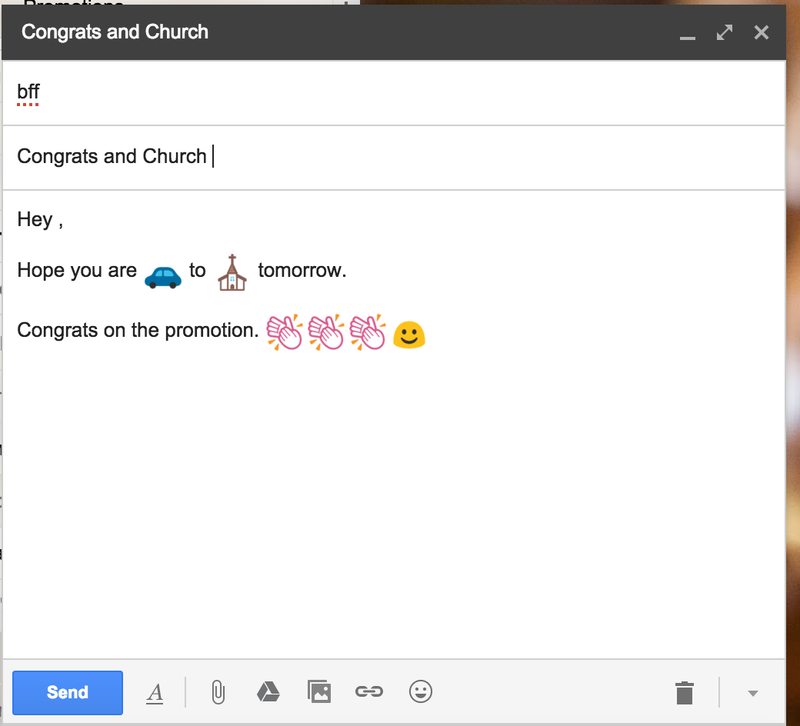 But the biggest story behind this new Gmail tweak is the emoji feature. I’m not a communications expert, but I’m guessing Gmail is basing this on our propensity to communicate through social media patterns which include emojis, which is a sign that we now say things differently. Still underpinning all this really is the use of the mobile phone for all things internet. Gmail, like every other part of Google really seems keen to figure that out, through pictures, emojis or anything that matters. I love the “WhatsApp” feature. Don’t know about others but I use it a lot. @wally, it does have the send attachment function…al u gotta do is swicth to desktop version. Simple.